Why Does Chris Seeger Sound More Like a Mouthpiece for the NFL than Advocate for Players in the Concussion Settlement? The Settlement shines a flashlight on a major flaw in the American Justice System which causes the observer to wonder just how far the parties will go to cover the abuses. A great deal of conflicting information regarding the NFL Concussion Settlement has been in the news as of late. On the one hand, media outlets such as the Boston Globe report that the settlement is “on the brink of collapse.” The Globe, Washington Post, Newsday, and other outlets have also reported on slow payouts and derailment of dementia claims while Chris Seeger says the settlement is “on track,” lauds the payouts that have been made and defends the NFL’s aggressive fraud prevention measures. He seems to have forgotten that the NFL is the adversary in this litigation and lacks the understanding that they will do whatever is necessary to minimize payouts and mitigate their losses. Still, one has to ask the question, why is a lawyer abandoning his own clients’ interest in favor of the opposition? Money appears to be the answer to that question. Advocacy for Fairness in Sports has learned that Seeger began his negotiations with the NFL in 2010 – before the first brain injury lawsuit was ever filed. In 2012 the Jim Finn et al v. NFL lawsuit was launched by Seeger after recruiting 13 plaintiffs. In an interview with one of those plaintiffs, Advocacy for Fairness in Sports learned that they were enticed to join the litigation and in particular Seeger’s lawsuit with the promise that they would be additionally compensated through a “Global Pioneer Fund,” for being pioneers in calling out the NFL. Instead, after the case was consolidated into an MDL, these plaintiffs were allegedly shut out and virtually abandoned. One of the plaintiffs related to Advocacy for Fairness in Sports that in retrospect he felt that he and the others were merely pawns in Seeger’s bid to stay atop the litigation and ensure his place at the head of the table. Apparently, Seeger thought others were also dangerous to the deal, as he wound up delegating most of the confidential work to firms that he brought into the litigation, such as Levin and Nast, who were appointed sub-class counsel – firms that represented few if any clients in the litigation and had a greater interest in obtaining settlement approval than in the equity of the settlement that would be approved. 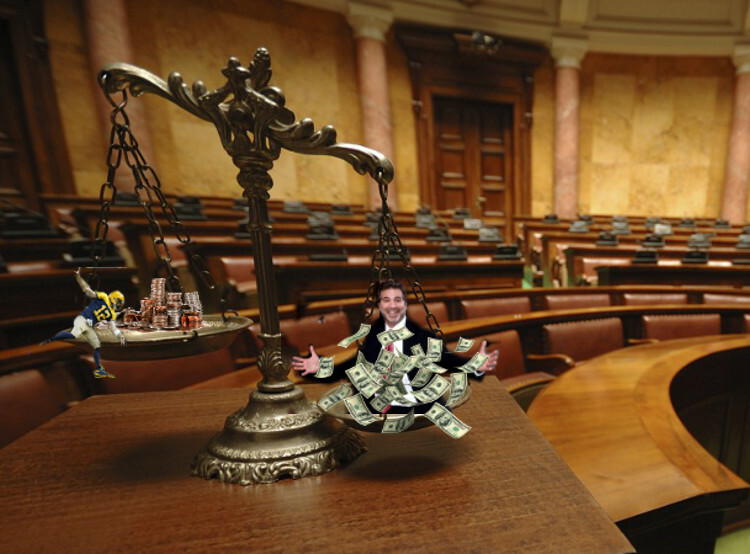 There appears to be growing concern that as MDL’s increase – they currently comprise 36 percent of the entire civil case load of the federal court system – they are turning into a cartel of sorts where repeat players like Seeger, Levin, and Nast, tend to negotiate deals that resolve matters quickly and efficiently in the eyes of the court, but because they do not necessarily represent the individuals in these cases, compromise their interests in order to ensure a big payday for obtaining a settlement and the reputation for obtaining closure in mass litigation. While the Concussion Settlement states that causation need not be proven as this was one of the criteria that the NFL agreed to in order to avoid admitting liability, various diagnoses were defined by the NFL attorneys and Seeger & Co, using doctors that have a reputation as to skepticism of CTE and the level of brain damage caused by football and doctors have been appointed to evaluate medical records under the cloak of anonymity as in Propulsid. It appears both the courts, the league and the lead lawyer, Chris Seeger wish to suppress what could place flashlight on a severe problem in the American Justice System – one that if fully exposed could certainly undermine public confidence in the courts. The winners of the Propulsid litigation were clearly the defendant, Johnson & Johnson, who was reimbursed unused funds that were paid into the settlement account, and the MDL lawyers who received a pre-negotiated payday just as Seeger and friends have done in the Concussion Settlement. The clear losers in this MDL were the plaintiffs who experienced death and severe illness that expected relief. The same is true of the Concussion Settlement. In Part II of this series, I will demonstrate how bogus actuaries based on the general population, not subject to the brain damage have been used against the players by all of the parties in authority in the Settlement. These actuaries, endorsed by the NFL and by Seeger compare NFL retirees statistically to the general population and when dementia or Alzheimer’s disease is diagnosed at an earlier age than considered normal, the claim is flagged as fraudulent and placed in audit. Doctors have been accused of misconduct and radiologists who have taken brain scans have been accused of fraud all because their diagnoses do not fit the profile of a population that has not sustained up to two decades of constant blows to the head and brain. One of the defenses of the stringent audit procedures in the Concussion Settlement is that the NFL has more of an interest since the Settlement became uncapped. While there may be shreds of truth to this theory, it is also subject to opinion in that the stringent denial of claims in Propulsid resulted in reimbursement of funds that had been marked for claim pay-outs. The argument regarding the impact of the uncapping of the Concussion Settlement appears to have less merit in view of this than it does on the surface when taken simply at face-value. In a memorandum and order regarding distribution of attorney fees issued by Judge Brody on April 5, she references Seeger’s work as “extraordinary” but her basis for that evaluation seems to be rooted more in efficiency in gaining a settlement rather than its actual value to all Class Members. In an op-ed submitted by Seeger to Washington Post, he applauds the early payouts in the Settlement and says that the Settlement is “on track.” He states that more than $348 million has been approved for settlement payouts, and again, on the surface this appears to be a great deal of money which would indicate that the Settlement is performing its function, but a closer look shows that from that $348 million, less than half, or about $150 million has actually been awarded to players and their families. Much of the other half is still subject to audits and appeals and is not guaranteed to reach the recipients. Zooming in further with the magnifying glass, one will also learn that the bulk of both the actual payouts and approvals has been awarded to Death with CTE and ALS cases. The pathology and diagnoses of these events is veritably indisputable unlike the more subjective diagnoses of Alzheimer’s and dementia which represent over 82 percent of claims filed to date. The vast majority of these claims have been impeded and held up mercilessly, causing extreme stress to the already impaired players and their families, and in some cases the delays have caused players to lose their homes, fall prey to predatory lenders, and forfeit much needed medical treatment because there are no funds available to cover it. The Vanderbilt paper referenced previously describes the climate in which unfavorable deals are allowed to proceed and continue largely unimpeded. Most of the attorneys in MDL’s and class actions are repeat players and those at the highest tier, such as Seeger, tend to be influential as to who will share in the pots of gold in other lucrative MDL proceedings. Because of this, even when disagreement erupts among counsel, most lawyers tend to go with the flow so that they will not be seen as troublemakers and find themselves blacklisted from future cases. As Alison Frankel writes for Reuters, “If you’ve ever wondered why plaintiffs lawyers compete so ardently to be appointed to lead big, consolidated cases, you ought to look at a pair of rulings U.S. District Judge Anita Brody of Philadelphia issued Thursday in the billion-dollar NFL concussion litigation.” Ms. Frankel contrasts the major payday for Class Counsel with the Court’s capping of contingency fees for lawyers who directly represent players in the case. These factors demonstrate how unfavorable MDL proceedings are allowed to flourish and continue. While they provide closure for defendants, large paydays for the plaintiffs’ attorneys at the top of the food chain, and judicial efficiency for the courts, the plaintiffs who initially sued for damages often are left with minimal compensation for those who do recover and many others are left completely in the cold. This is why the Locks motion to secure administrative privileges in the Settlement and all of the joinders to this motion from attorneys on all levels including Seeger’s Co-Lead counterpart, Sol Weiss, can be seen as an extraordinary anomaly. As detailed in the Locks motion and many of the joinders, the Settlement has become so lopsidedly biased in favor of the NFL, that even Class attorneys feel compelled to speak out. The members of the Concussion Settlement class and the public in general should be very appreciative of this motion and the efforts of these lawyers, who at risk to their own future appointments are looking out for the well-being of the people they represent and the future integrity of other MDL’s and Class actions. Part 2 of this series addresses the methods the NFL is using to impede claims and mitigate damages and how Mr. Seeger and the Claims Administrator are enabling a defective and harmful process.